Breakfast at hotel, enjoy an excursion to visit Giza Pyramids of Cheops, Chephren, and Mykerinus, then proceed to the panorama area, take memorable Photos for the Three Pyramids Together, continue visiting The Great Sphinx, and the Valley Temple, Optional to visit the Egyptian Museum including the treasures of King Tut AnkhAmun, at the end of your tour, transfer back to your hotel, overnight in Cairo. Breakfast at Hotel, drive by air-conditioned bus to Hurghada, check into your hotel, enjoy the marvelous sandy and sunny beach, enjoy swimming, snorkeling, diving, and different water sports available on request, overnight in Hurghada. Breakfast at Hotel, day at leisure in Hurghada, enjoy the marvelous sandy and sunny beach, enjoy swimming, snorkeling, diving, and different water sports available on request, approx. at 12:00 pm. 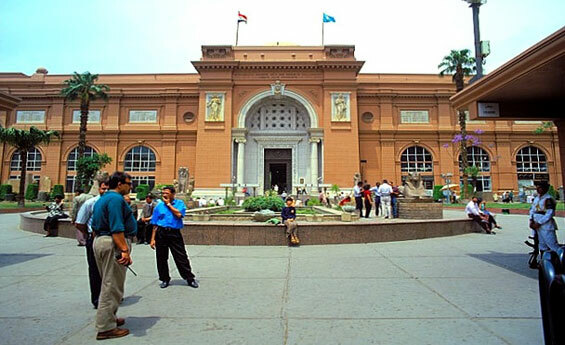 check out, drive by air-conditioned bus back to Cairo, meet & assist at Cairo bus station, transfer to hotel, overnight in Cairo.